Click the link to read a most thoughtful and erudite review by Burcu Alkan, a literary scholar and editor, who is based in Istanbul. I love books that start out with someone making a colossal mistake. This starts with a great one—Dr. Ruby Okada unknowingly falls in love with man escaping from her psychiatric hospital. The beauty of this slim novel is the way in which the “how” and “why” is all tangled into a quirky puzzle with the “so, what happens next?” I had SO much fun de-tangling. 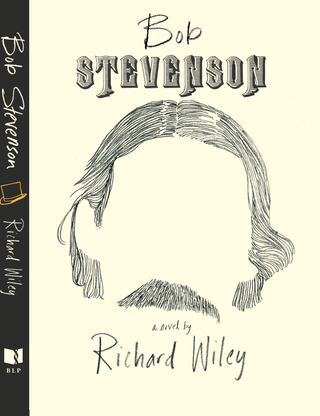 This slight, sweet novel is haunted—in a good way—by the ghost of Robert Louis Stevenson.Wiley (The Book of Important Moments, 2013, etc.) sets the novel in a comfortable small-town version of Manhattan, where a few characters know each other intimately. Chief among them is psychiatrist Ruby Okada, who gets in trouble in the first three pages because she doesn't realize the charming man she meets as she's leaving the clinic where she works is one of the patients there. By the fourth page, it's seven months later and she's pregnant, resigning her job because of her slip-up, and taking up residence with her cat, Guido, in the spacious Greenwich Village home of Archie B. Billingsly, who's given the house to her while he prowls around New York alternately assuming the identities of Stevenson and a good many of the characters from his novels. Ruby, who is enamored of Bob Stevenson, is less taken by Long John Silver and the confusing Henry Hyde, who slips between the behaviors of Dr. Jekyll and Mr. Hyde. She's supported in her quest to bring Archie to some sort of stable state and give birth to his child by her father, an avant-garde artist from Tacoma; the British lawyer Billingsly has chosen because he shares a name with one of Stevenson's characters; her rambunctious former colleague Bette; and Billingsly's driver, Gerard. Gerard, who has Down syndrome, comes uncomfortably close to being a stereotypical wise fool: he's quick with an unintentionally astute solution for every problem. A number of back-story suicides darken the plot without detracting from its essential optimism. A romantic comedy with just enough of a philosophical edge.